Benzathine Penicillin G 1,200,000 I.U. Depo-Pen 1.2 M.I.U. : single packs of 1 vial + 5 ml water for injection. 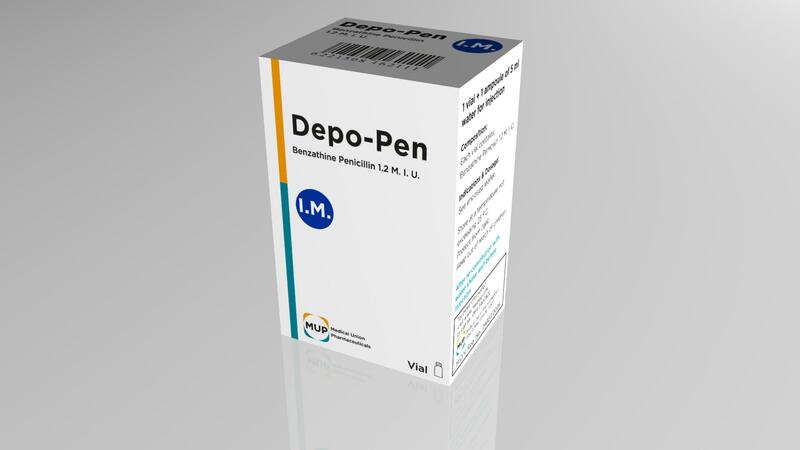 Depo-Pen is intended for use in both children and adults only by intramuscular injection. Adult: a single injection of 1.200,000 I.U. Older pediatric patients: a single injection of 900.000 I.U. Primary, secondary, and latent: 2,400,000 I.U. (single dose). Late (tertiary and neuroayphilis): 2,400,000 I.U. (single dose) at 7 day-intervals for three doses. 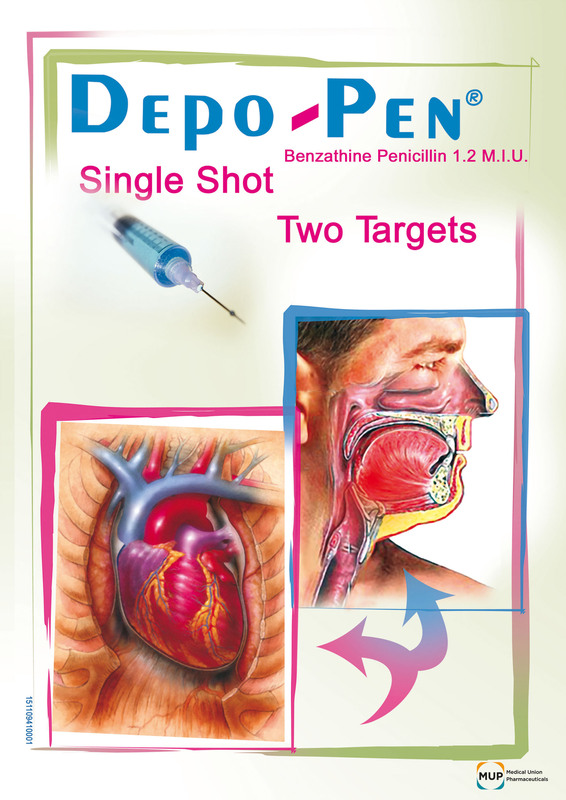 Following an acute attack, Depo-Pen may be given in doses of 1.200,000 I.U. every 2 weeks in winter, every 3 weeks in summer. Prophylaxis of rheumatic fever and / or chorea: use of Benzathine penicillin has been proven effective in preventing recurrence of these conditions. It is used also as follow up prophylactic therapy for rheumatic heart disease and acute glomerulonephritis.